Smithsonian National Museum of African American History and Culture has been awarded the Beazley Design of the Year 2017 prize. It was selected as the winner of the Architecture category, then went on to triumph against the other five category winners to claim the overall prize. The Washington DC museum, inaugurated by President Obama in September 2016, represents African American contribution to the cultural history of theUS, even down to its filigree cladding, which references the history of African American craftsmanship. It holds galleries, collections and storage space, as well as administrative spaces and a theatre. 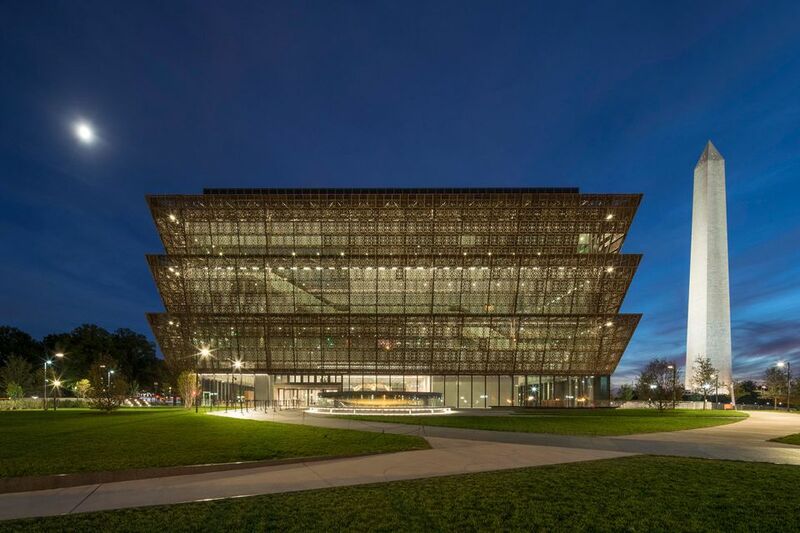 The building was designed by the Ghanaian-British architect David Adjaye, who worked on it alongside The Freelon Group, Davis Brody Bond, and SmithGroupJJR for the Smithsonian Institution. The prize is the latest in a long list of accolades for Adjaye, who was knighted by Her Majesty the Queen and recognised as one of the most influential people of the year by Time magazine in 2017. The Beazley Design of the Year prize is a collaboration between the insurance company Beazley and London’s Design Museum. It awards designs that it believes "promote or deliver change, enable access, extend design practice or capture the spirit of the year". The prize is in its tenth year since it began in 2008, and previous winners have included the London 2012 Olympic Torch (the 2012 prize winner) and the Obama Hope poster by Shepard Fairey (2009). An evening that celebrated design across all formats, the diverse range of award winners included the Scewo stairclimbing mobility device, which picked up the Transport category award, the Nike Pro Hijab winning the Fashion category and the New York Times’ Fractured Lands issue winning the Graphics category. The six winners, along with 56 other nominations, will be on display at the Design Museum until 18 February.